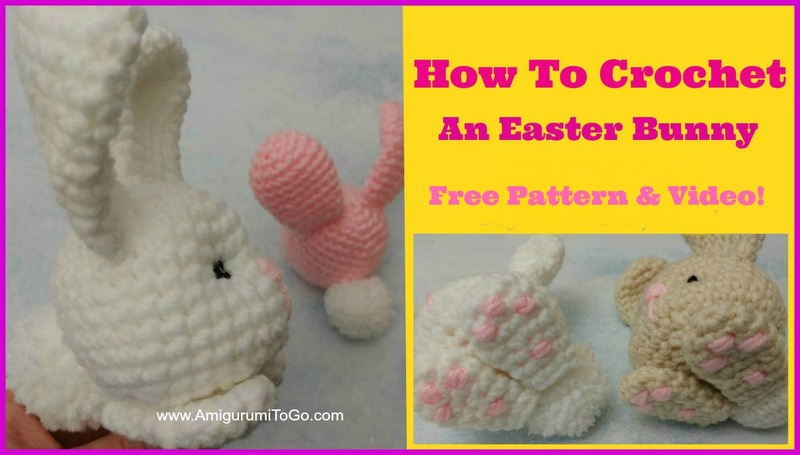 This is a quick little project you could use to fill up those Easter baskets this year. 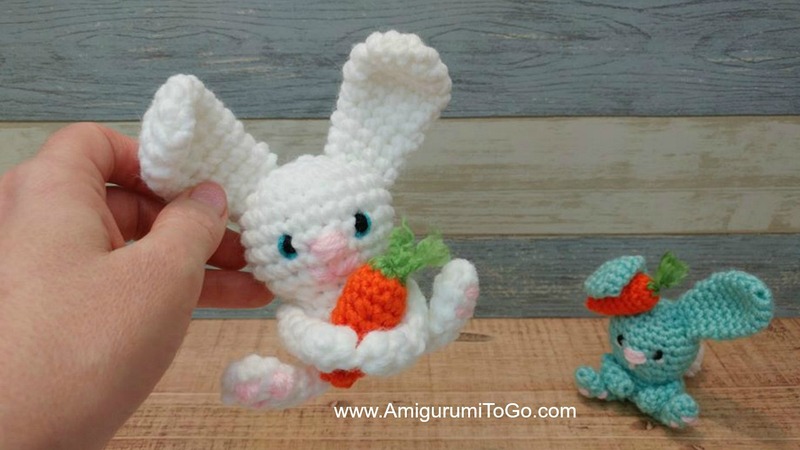 Scroll down this page for the Bunny pattern. The carrot pictured has its own pattern page here. I do not have a row by row tutorial for this particular bunny but I do have an assembly video tutorial that will show how to add the toe pads, how to sew all the parts together, and how to make a bobble stitch tail. Video is here. This is a quick project. 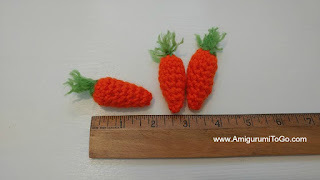 I designed the carrot for a small bunny. 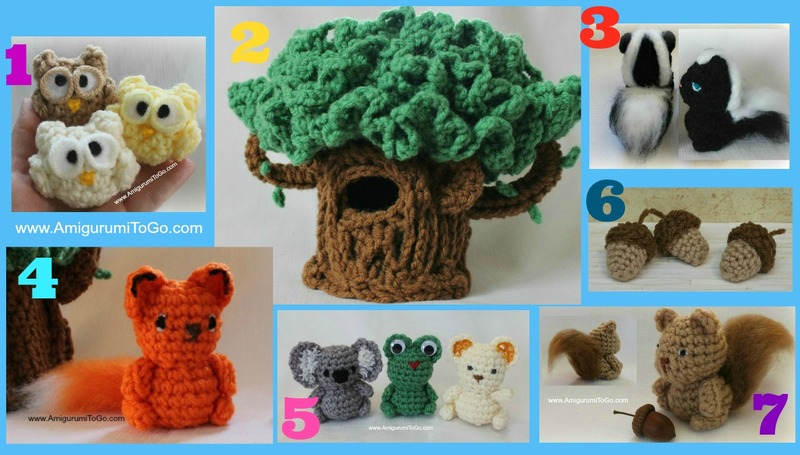 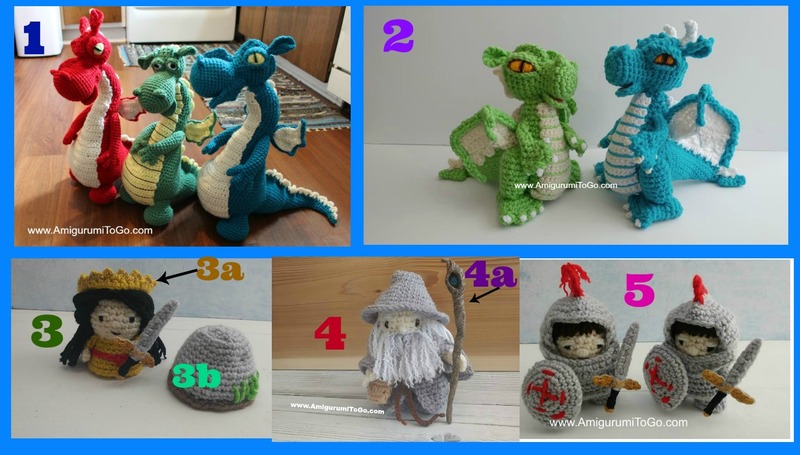 If you would like to make the bunny as well, click here for the pattern. 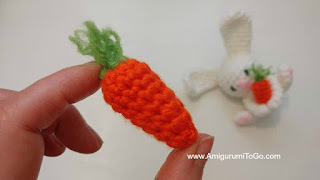 Scroll down this page for the carrot pattern.